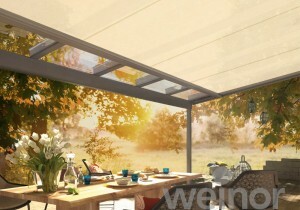 The weinor Terrazza patio roof convinces with its elegant construction, shapely design and high resilience. Our light bar extends the amount of time you can use your patio roof until well into the evening. 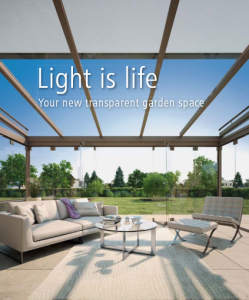 The light bars can be wall-mounted or ﬁ tted to a roof support depending on your preference. 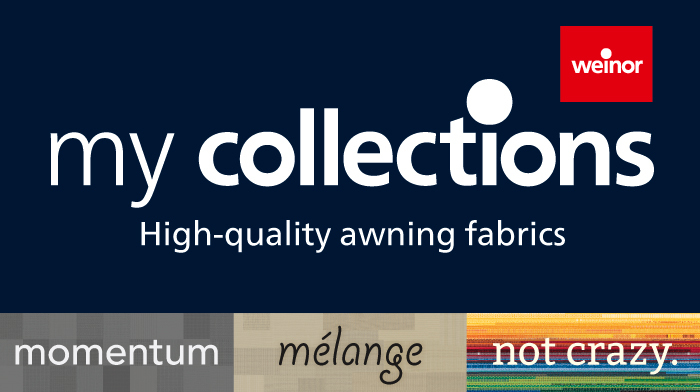 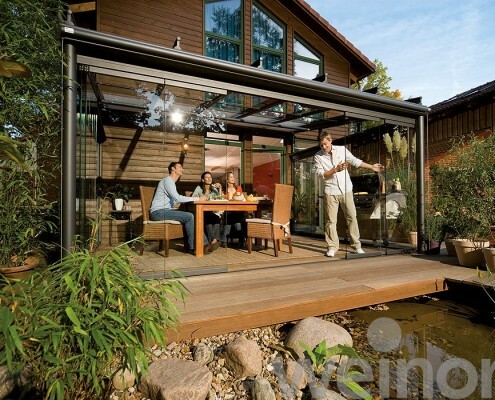 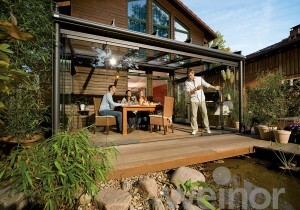 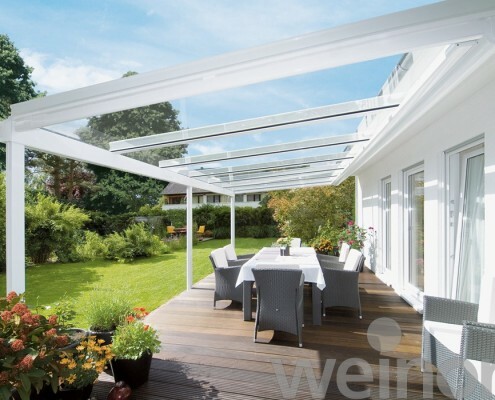 weinor patio roofs stand out for their exceptional stability and durability. 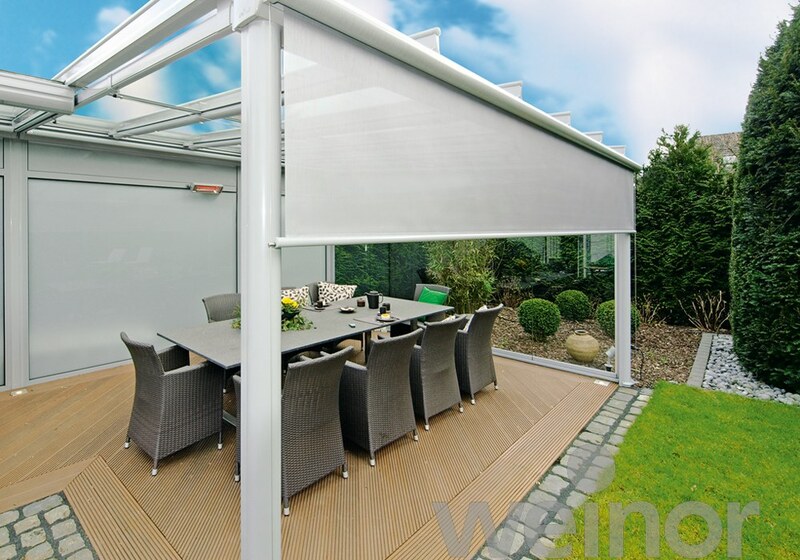 These durable constructions are based on static calculations run by a certiﬁed engineering company. 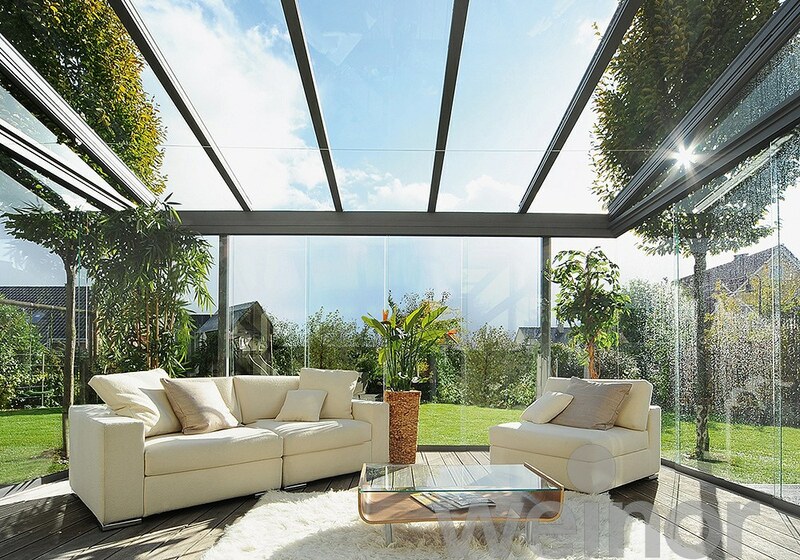 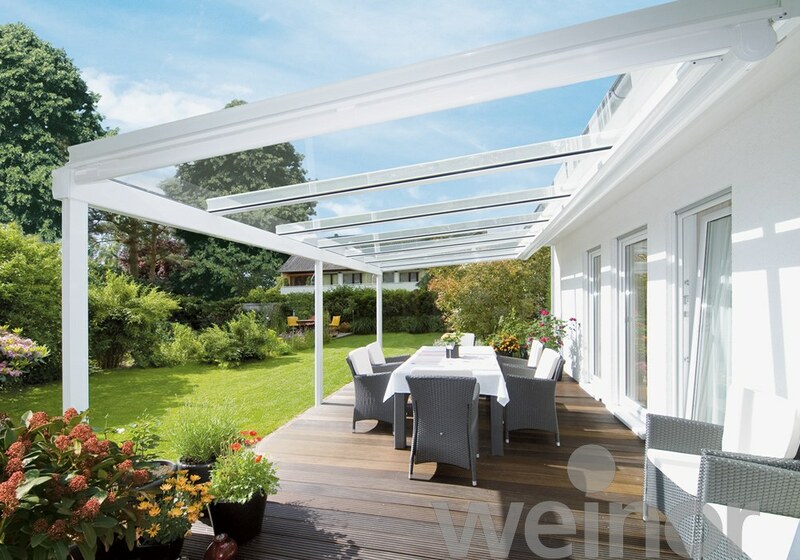 Enjoy your garden until well into autumn – weinor’s Terrazza patio roof will keep you well sheltered from the wind and other elements. 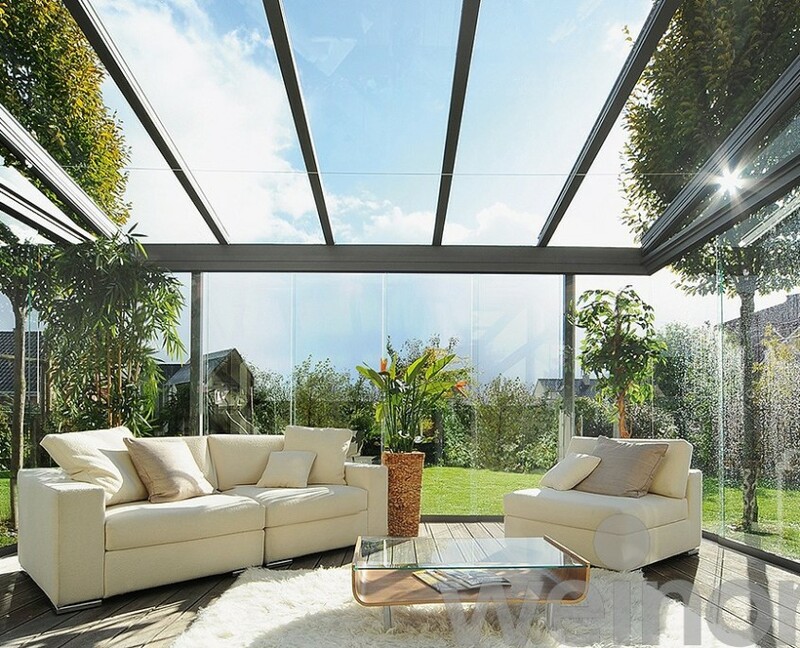 And your patio furniture can remain outside without being damaged. 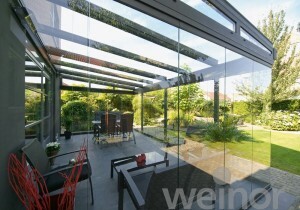 The appeal of weinor’s patio roof is its elegant construction, attractively shaped design and high durability. 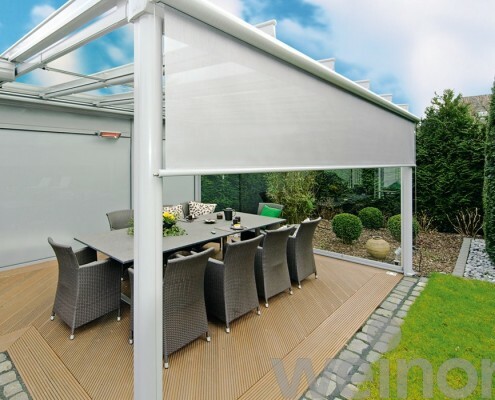 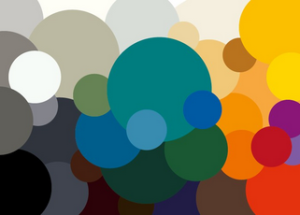 With numerous versions available, it is also very suited to many different types of houses and requirements. 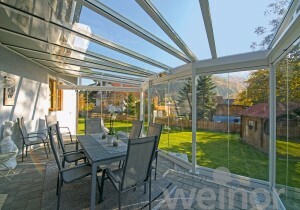 The Sottezza II/Led Awning & Terrazza Glass Roof, Perfect Partners.